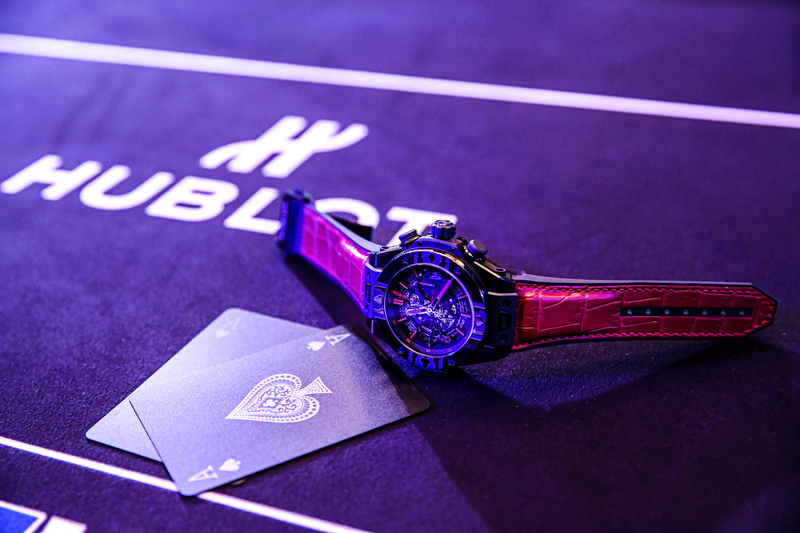 Hublot is the official timekeeper for the World Poker Tournament (WPT). 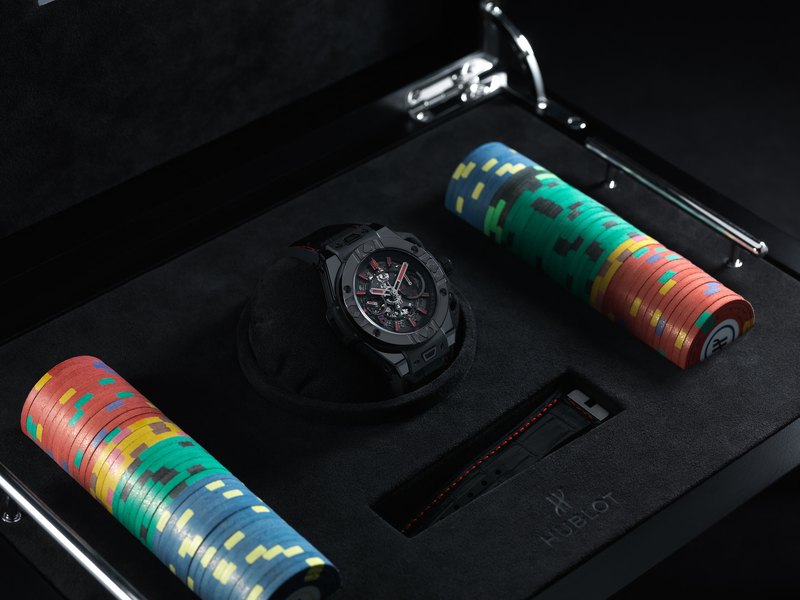 Debuting in conjunction with this month's China circuit event is the new World Poker Tournament Unico Big Bang LE of 188 pieces. 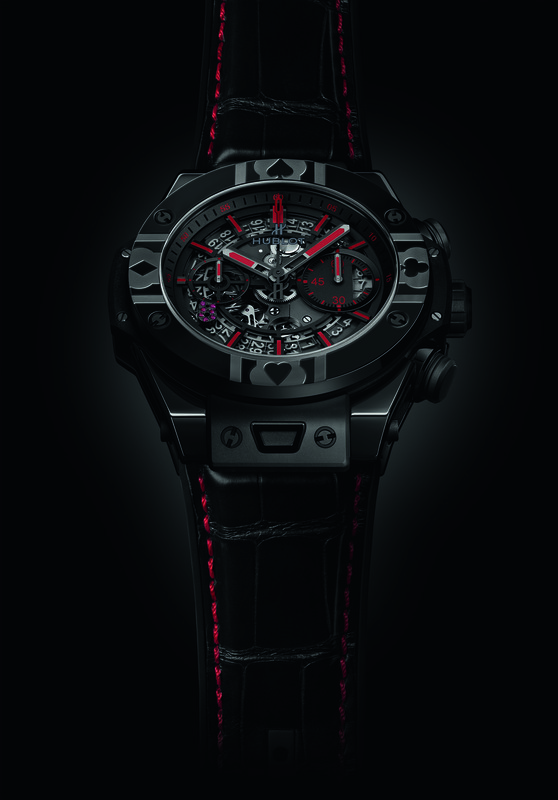 One of them will be awarded to the tournament winner. 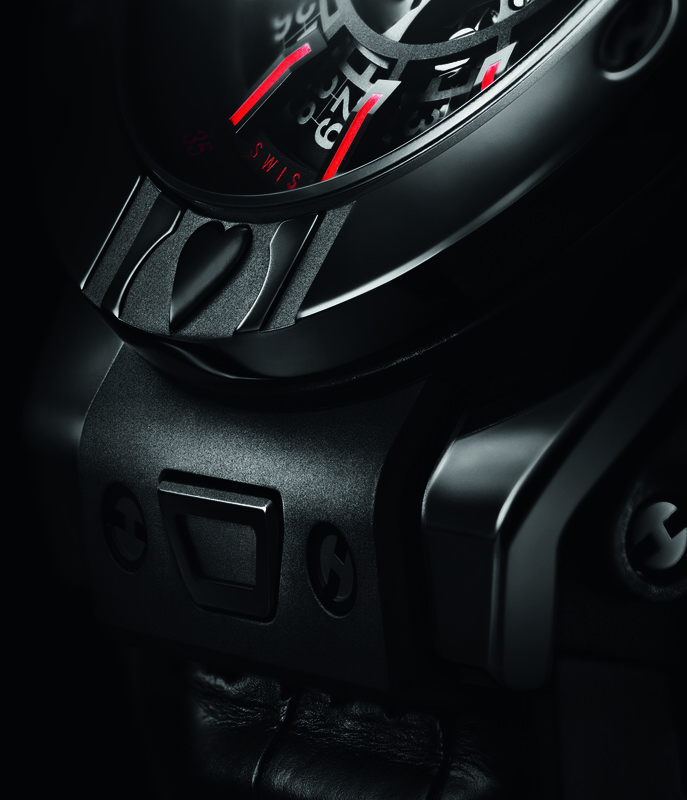 Continuing the design elements of the original version, the watch sports bezel a engraved with the 4 card suit symbols. 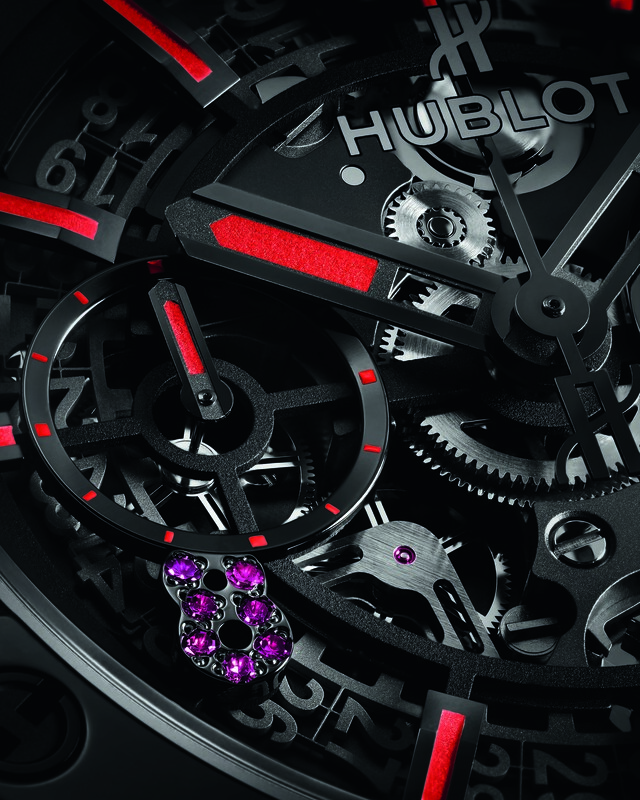 Differentiating it are is the black ceramic case and bezel, and the 8 on the dial being replaced by the 7 rubies that represent life and prosperity in the Chinese Tradition.